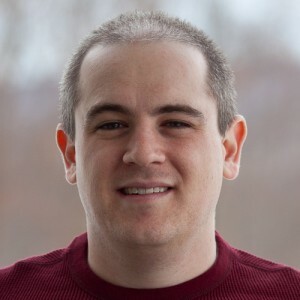 Marco Arment (b. June 11, 1982) is a web and iPhone software developer, as well as a magazine editor and technology writer, living in the suburbs of New York City. He is co-founder of Tumblr and creator and sole developer of Instapaper. As the lead developer and first employee of Tumblr, a blogging platform that hosts over 108 million blogs, Marco Arment worked from Tumblr’s inception in 2007 until 2010. He left Tumblr to concentrate fully on Instapaper, a reading and bookmark service that launched in 2008. However, in 2013, Arment announced that Betaworks bought the controlling interest of Instapaper. In October 2012, Marco Arment introduced The Magazine, an iOS publication that comes out bi-weekly. In May 2013, the subscription-only periodical was sold to Aperiodical LLC, a company owned by Glenn Fleishman, the publication’s current editor. As of January 2013, Arment’s blog receives nearly 600,000 page views each month. Arment received a bachelor’s degree from Allegheny College. Prior to working for Tumblr, he was a software engineer for Vivisimo, Inc. In 2006 Marco Arment moved to New York when he answered a Craigslist job ad placed by David Karp, founder of Tumblr. Marco had a lot of experience with different programming languages and was hired by Karp to develop websites for various media companies. That same year Karp was eager to design a short-form blog where users can follow other users’ blogs, as well as make their blogs private. Karp had already bought the domain – tumblr.com – because it was an easy platform for publishing tumble blogs. Currently, Tumblr hosts over 108 million blogs. In 2013, Yahoo bought Tumblr for $1.1 billion. In 2008, while still working for Tumblr, Marco Arment founded Instapaper, a reading service that saves articles for later reading on web browsers and other devices. The service has more than two million users. Marco Arment left Tumblr in 2010 to concentrate fully on Instapaper. In 2013, Arment sold a majority stake in Instapaper to Betaworks.